ИБП большой мощности. Товары и услуги компании "Alianza.kz - Комплексная дистрибуция"
Батарейный шкаф G35TXR2B6 APC MGE Galaxy 3500 Extended Run Frame with 2 Battery Modules Exp. to 6. Батарейный шкаф G35TBXR6B6 APC MGE Galaxy 3500 Extended Run Enclosure, with MCCB, with 6 Battery Modules. Батарея G35TBXR2B6 APC MGE Galaxy 3500 Extended Run Frame, with MCCB, with 2 Battery Modules Exp. to 6. Источник питания G35T15K3I2B4S APC MGE Galaxy 3500 15kVA 400V 3:1 with 2 Battery Modules Expandable to 4, Start-up 5X8. Источник питания G35T15K3I4B4S APC MGE Galaxy 3500 15kVA 400V 3:1 with 4 Battery Modules, Start-up 5X8. Источник питания G35T15K3I2B2S APC MGE Galaxy 3500 15kVA 400V 3:1 with 2 Battery Modules, Start-up 5X8. 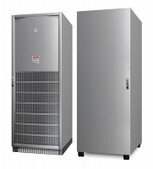 Источник питания G35T15KH2B4S APC MGE Galaxy 3500 15kVA 400V with 2 Battery Modules Expandable to 4, Start-up 5X8. 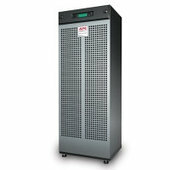 Источник питания G35T15KH3B4S APC MGE Galaxy 3500 15kVA 400V with 3 Battery Modules Expandable to 4, Start-up 5X8. 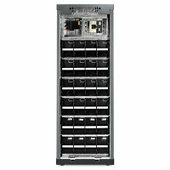 Источник питания G35T15KH4B4S APC MGE Galaxy 3500 15kVA 400V with 4 Battery Modules, Start-up 5X8. Источник питания G35T15KH2B2S APC MGE Galaxy 3500 15kVA 400V with 2 Battery Modules, Start-up 5X8. 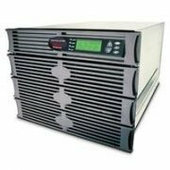 Батарейный шкаф G35TXR6B6 APC MGE Galaxy 3500 Extended Run Enclosure with 6 Battery Modules. Источник питания G35T15K3I3B4S APC MGE Galaxy 3500 15kVA 400V 3:1 with 3 Battery Modules Expandable to 4, Start-up 5X8. Источник питания G35T20K3I2B2S APC MGE Galaxy 3500 20kVA 400V 3:1 with 2 Battery Modules, Start-up 5X8. Источник питания G35T20K3I3B4S APC MGE Galaxy 3500 20kVA 400V 3:1 with 3 Battery Modules Expandable to 4, Start-up 5X8. Источник питания G35T20KH2B2S APC MGE Galaxy 3500 20kVA 400V with 2 Battery Modules, Start-up 5X8. 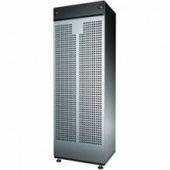 Источник питания G35T15KHS APC MGE Galaxy 3500 15kVA 400V, Start-Up 5X8. Источник питания G35T20KH2B4S APC MGE Galaxy 3500 20kVA 400V with 2 Battery Modules Expandable to 4, Start-up 5X8. Источник питания G35T20K3I4B4S APC MGE Galaxy 3500 20kVA 400V 3:1 with 4 Battery Modules, Start-up 5X8. 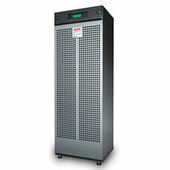 Источник питания G35T20KHS APC MGE Galaxy 3500 20kVA 400V, Start-Up 5X8. 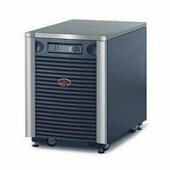 Источник питания G35T20K3I2B4S APC MGE Galaxy 3500 20kVA 400V 3:1 with 2 Battery Modules Expandable to 4, Start-up 5X8. Источник питания G35T30K3I3B4S APC MGE Galaxy 3500 30kVA 400V 3:1 with 3 Battery Modules Expandable to 4, Start-up 5X8. Источник питания G35T30KH4B4S APC MGE Galaxy 3500 30kVA 400V with 4 Battery Modules, Start-up 5X8. 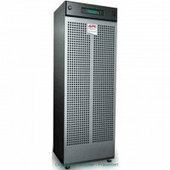 Источник питания G35T30KHS APC MGE Galaxy 3500 30kVA 400V, Start-Up 5X8. 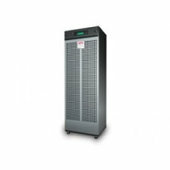 Источник питания G35T20KH3B4S APC MGE Galaxy 3500 20kVA 400V with 3 Battery Modules Expandable to 4, Start-up 5X8.